The 2019 Ford Ranger Pickup is Coming to Zender Ford in Spruce Grove! After its demise back in 2011, Zender Ford is excited to announce that the Ford Ranger is returning to Spruce Grove! This midsize pickup slots neatly beneath the larger and more powerful Ford F-150, and is expected to compete with the likes of the GMC Canyon and Chevrolet Colorado. So what can we expect from this rebirthed Ranger? Zender Ford in Spruce Grove has the low-down on everything you can from this exciting new midsize pickup from Ford! Despite its smaller size, the 2019 Ford Ranger is still expected to be a workhorse. That’s why it’s coming with a fully boxed ladder frame with sturdy mounting points fore and aft to ensure excellent towing potential. To keep costs down the body is reported to be mostly steel with an aluminum hood and tailgate to keep the weight down. An integrated trailer hitch has also been reported on the options sheet. In terms of engines the only one reported so far is a beefed-up version of Ford’s stellar 2.3L EcoBoost motor. Connected to a 10-speed transmission, this powerplant is supposed to develop somewhere in the region of 300 horsepower and 350 lb-ft of torque – more than enough for a truck this size! As is common with pickups, rear-wheel drive appears to be standard with four-wheel drive as an option. Ford intends to provide plenty of variety in the Ranger lineup. So far we know that the 2019 Ford Ranger will be offered in both SuperCab and SuperCrew configurations, and in XL, XLT, and Lariat trim levels. There’s also two seperate off-road packages reportedly planned, the FX2 for two-wheel drive models and the FX4 for four-wheel drive models. FX models will supposedly get all-terrain tires, off-road dampers, steel front skid plate, and a host of other goodies! 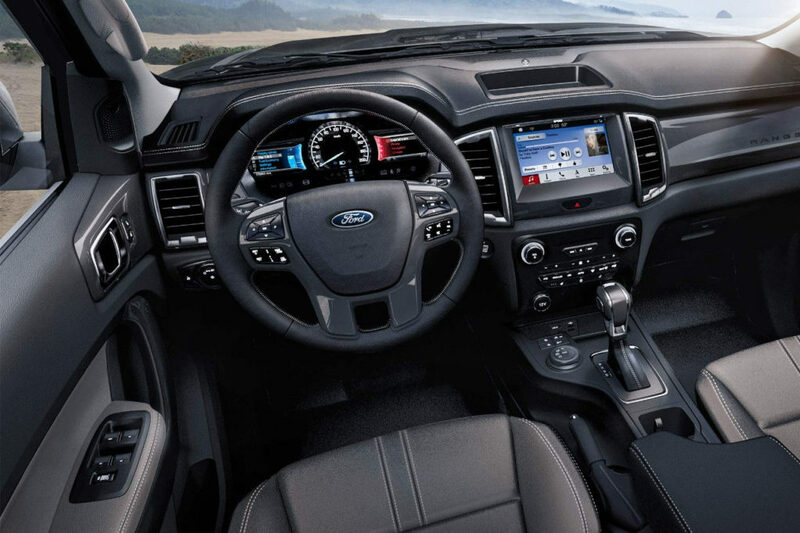 Finally the 2019 Ford Ranger promises to be well-equipped with items like Ford’s SYNC 3 system with Apple CarPlay and Android Auto, an 8-inch touchscreen, 4G LTE connectivity, and a Bang & Olufsen stereo system on the menu. The Ranger should also prove to be quite safe with safety systems like an automated emergency braking system, lane-keeping assist, lane-departure warning, and blind-spot monitoring. With the new Ford Ranger supposed to land in early 2019, there’s not much time left to wait! 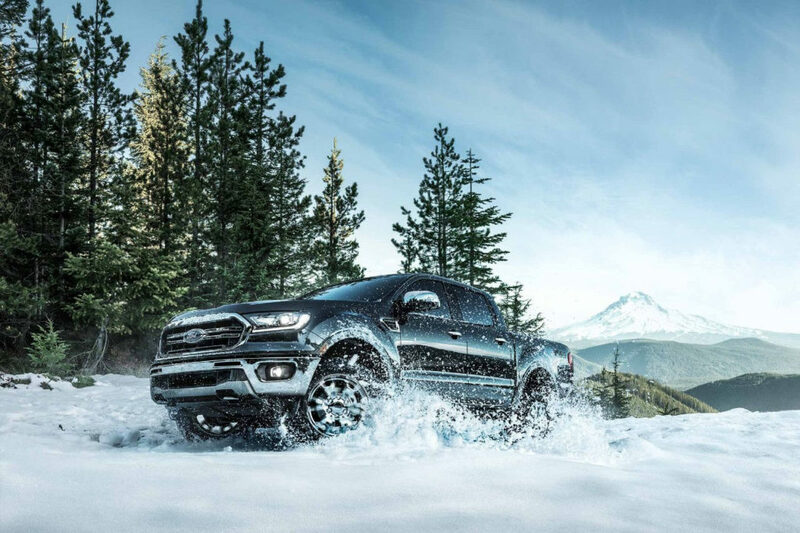 Rest assured that Zender Ford will be one of the first dealerships in the Spruce Grove, Edmonton, St. Albert, and Stony Plain area to receive this midsized pickup. Contact Us today for more information on this exciting pickup!